Opals have been one of the world’s favorite gemstones for centuries. Nothing compares to opals for their fantastic displays of brilliant colors that move and change as the stone moves in the light. The finest opals can rival diamonds in price. Large specimens with bright colors, in sought after patterns can sell for thousands of dollars per carat. Fortunately though, there are beautiful opals available even for those of us on a budget. One option of course is to sacrifice quality somewhat. You can find opals for under $20 per carat that are still beautiful. The colors won’t be as vivid as the higher priced opals and there may be areas of the stone that show no flashes of “opalescence” but they will still be very attractive stones. But what if you want a really bright, flashy opal? 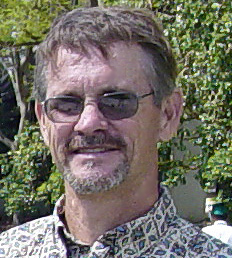 Another option is to look for an opal “doublet” or “triplet. One reason that precious opal is so expensive is that it often occurs in thin layers that just aren’t thick enough to cut into a gemstone. But these thin pieces of material can still be used to make doublets and triplets! The layer of precious opal is first bonded to a layer of a cheaper stone. Usually ironstone is used. It is readily available in the Australian opal mining regions, it is very hard and it is a dark color. It does several things. It makes the stone thick enough of course plus it makes it. 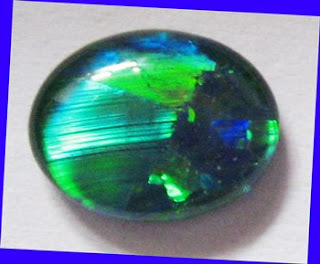 Plus, it gives the opal a dark background which makes its natural colors stand out more vividly! If it is going to be a doublet, it is then cut and polished as would any other opal. If it is going to be a triplet, another layer is first glued to the top of the stone. This other layer is usually quartz. Quartz is very clear and very durable. So now when it is cut, you have a layer of fiery opal sandwiched between a layer of ironstone and a layer of quartz. The dark backing makes the stone appear more brilliant and the quartz top make it more durable and scratch resistant than a solid opal. But best of all, the prices for doublets and triplets are much lower. You will usually only pay about 10% of the price you would pay for a comparable looking solid opal. So for $20 you can get an opal that looks like a $200 opal. For $200 you can get one that looks like its worth thousands! There are some cases where the layers may separate over time if not cared for properly. But if handled and cleaned with care, as you should with any opal, they can last a lifetime and you can own the opal of your dreams without spending a fortune.